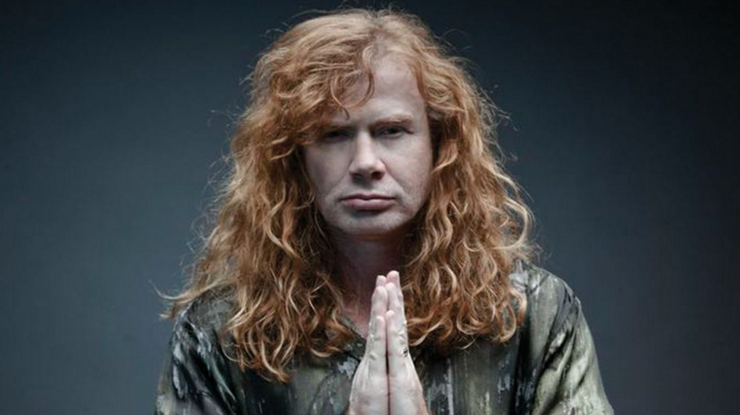 MetalRockNews: Megadeth's Dave Mustaine: "I think the world's a beautiful place"
Megadeth's Dave Mustaine: "I think the world's a beautiful place"
Megadeth's Dave Mustaine was recently interviewed by KBAD 94.5, you can read some excerpts below. About covering political topics in his lyrics: "Part of the problem with people is they listen to what I say and they think I'm making a judgment. And what I'm doing is saying, 'Look, here's a situation. Find out for yourself. Get your own truth.' And because the Internet is a hundred percent honest, everything they say about me is true about all those horrible things. But, you know, it's funny, because with our songs, we've always tried to educate our fans. I've never told anybody which way to vote, which way to think, which way to dress, which way to act; it's always been, 'Hey, here's the moral at the end of the story.'" About his reputation as a controversial figure: "I think the reputation that we had for being dangerous, that's certainly true. You don't kick your lead guitar in the face and not have people say, 'This guy's a little dangerous.' But he deserved it! I think that a lot of people have… in metal, they try and come off being really super hard and stuff like that. And I'm of the belief that if you've had a really hard life, all you need to do is just continue living it, and people will be able to experience it. Like Bon Scott. What a rock star that guy was. Bon Scott was one of my favorite frontmen of all time. And he didn't have to come up and say, 'Hey, I'm gonna bash your brains.' You just knew that if you stepped out of line, he might punch you." About if the title of Megadeth's new album, "Dystopia", is a commentary on the state of the U.S. at the moment: "No, no, no. See, a lot of people think that I have a very negative view of the world. I think the world's a beautiful place, but that there are bad people here, instead of some other people who are very pessimistic and think the world's a bad place and that there's only a few good people left. So I try and go through my day, my job, my travels and just make people as happy as I possibly can. I'm not here to say, 'Oh, the world's gonna end,' and all this kind of stuff. My job is to go out there and have people walk away and say, 'Oh my God! How does that guy play guitar and sing that stuff? ', you know."